“Foot Race. Expect Delays/Detours” This sign is posted all over town. It’s to warn people of the race this weekend that I am registered for, and cannot run. I’ve seen this sign for days now, and it’s made me sad looking at it because I knew I wouldn’t be able to run it. My physical therapist informed me that it’s likely that running isn’t in my life for the next 12 weeks. I scared a room full of people by spontaneously breaking down in sobs. Really. They looked seriously alarmed, but by virtue of them being in physical therapy, they could not quickly put space between themselves and my tears. Why was I crying, and why did a road sign make me sad? Glad you asked, let me tell you a story. I am registered for a 10K, a 10-miler, and two half marathons this month. I can’t run any of them. The two half marathons were the most important to me. I never had a desire run a half marathon. I had run 13.2 miles on my own a few times. I knew I could physically do it, so there was no allure to completing an official race. Until one day I heard there was a special medal to be had if I completed TWO half marathons within 7 days. In my oddly competitive way, I knew I had to have that medal. I could do it, I run 11 miles as my long run every week. The medal and bragging rights were mine! Until I conveniently picked up an overuse injury–a pinched nerve that caused severe pain from my back all the way down my leg. In the course of rehabbing it to get me race ready, I pushed myself too hard twice. I don’t like accepting defeat. I even thought, “If I don’t admit out loud to anyone that I can feel the pain, maybe it doesn’t exist.” Yes, I have moments of being seriously delusional. This is really, really hard for me for many reasons. One of them is my bad habit of forcing things. I am really good at making things happen when it may not be in my best interest. I am a tenacious, fierce, stubborn force to behold. This serves me well in being successful in many arenas of my life. However, like with everything, moderation is the key–knowing when to cry uncle; picking and choosing your battles is key. Running two races with an injury for the sake of getting a medal is definitely forcing something when it isn’t in my best interest. Some days it’s still hard to not be my own worst enemy. I know this in my head, I get it intellectually. But I feel such deep sorrow right now. It’s already been two months without a good run. Running has become such a part of me that I feel lost right now. No one seems to understand this. They think I’m just stubborn, or addicted to the runner’s high, or I’m a fitness freak. Parts of those issues might have some slight truths, but it’s more than that. It’s not the high I’m addicted to. It’s that running is how I process thoughts and stress; it’s who I am; it’s how I navigate my life. It grounds me. I feel unanchored now. I feel like I’m missing a part of who I am. I’m reminded also that this journey of rehabbing this injury and not knowing if I could run the races is really a journey of life. The lessons are reminders of readjusting goals and expectations. Of coping with disappointments, living with uncertainty, accepting what life hands you, and breathing through all of this. Of not forcing things and being kind and compassionate to yourself, and knowing when to surrender. Of being patient and accepting that things take time. Of understanding I can only control so much, and the most important thing I can control is my breath. 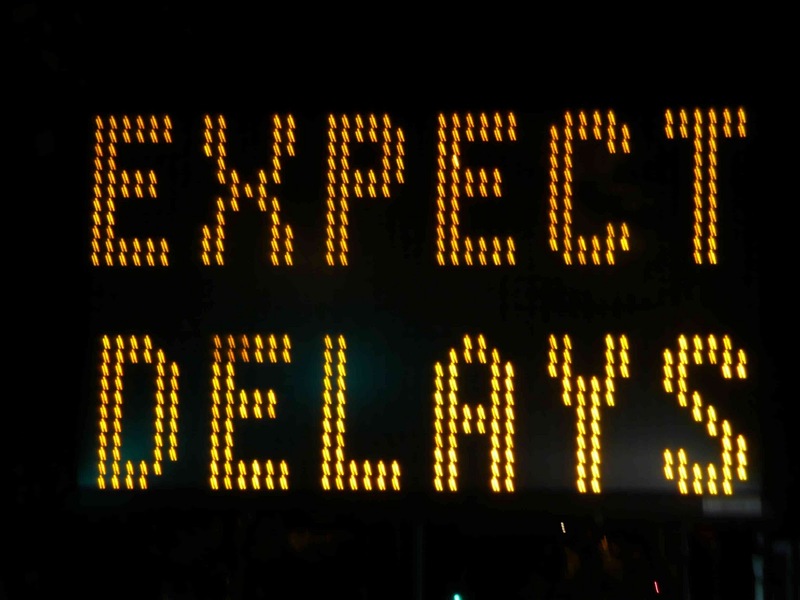 Foot races and life: Expect Delays and Detours. This entry was posted in Empowerment, Health Issues, Running and tagged half marathon, injury, pinched nerve, race, running. Bookmark the permalink. Reach, without force. Sometimes it’s enough. “Reach, without force.” Love that, thank you. I’m going to sit with that for a while until it settles rightfully into my pores. Thank you! First of all, I’m sorry that you can’t run your races like you planned. You have every right to feel disappointed and frustrated. When the mind is willing, but the body needs rest…you know it is the right thing to do. Delay. Detour. There will be other races, other medals, (and that is coming from a girl who really runs for medals and t-shirts! ), … other challenges. And those will be yours. Like you said, there are lessons in the delays as much as in the running bling. Take care of you and your body. Thank you!! Funny, when i first started running about 10 years ago I realized it was my mind getting in my way when I thought I couldn’t run–that my mind could overcome the body…reminded it’s rarely black or white, and the grey area is that sometimes it’s the other way around, but mostly it’s the balance of the two, mind and body. And breathing… Thank you for the support!!! I was able to defer one half marathon so I’ll be back strong and in full force for sure!